Hi, Iâ€™m TaraÂ and Iâ€™m a coffeeholic.Â Not the mindless multiple cups a day drinker, but the appreciative devotee of a superior cup of coffee.Â While I am usually blogging on my site,Â Travel Plus Family, about various travel destinations, I leaped at the opportunity to guest post withÂ Crystal at The Cappuccino TravelerÂ to discuss my love of coffee and to highlight one of my favorite coffee houses in my town. For me, the allure of coffee goes far deeper than the intoxicating aroma and soul pleasing taste. 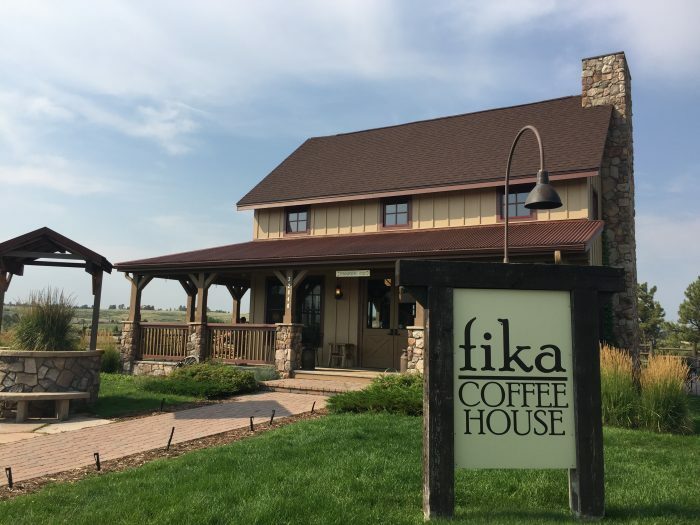 While a fantastic cup of coffee canÂ captivateÂ the taste buds; the right ambiance andÂ surroundingsÂ can encourage the entire body to temporarily take a break from the daily stresses of life.Â This combination is rarely achieved by large commercial coffee houses; but it was seemingly the goal ofÂ FikaÂ on the HillÂ coffee house located in Parker, Colorado. FikaÂ on the Hill, aptly named from a Swedish verb meaning â€œto meet over coffeeâ€,Â is nestledÂ comfortablyÂ within the sleepy community ofÂ IdyllwildeÂ within the town of Parker(approximately 20 miles south of Denver)Â and exudes a friendly atmosphere and charm.Â This neighborhood boostsÂ a community clubhouse, aÂ resort-styleÂ pool,Â lovely parks,Â and their very own Swedish-AmericanÂ styleÂ coffee house. Thatâ€™s right, this neighborhood has their very own coffee house!Â Several years ago, theÂ now coffee house,Â was the sales office for the home builders of theÂ IdyllwildeÂ community.Â Once allÂ the homes were sold, the owners of the originalÂ FikaÂ Coffee HouseÂ (located in downtown Parker), purchased the buildingÂ and repurposed it as theirÂ secondÂ coffee houseÂ location. The innovative concept toÂ open a coffee house within a single neighborhood, but the idea has paid off for both the owners and the residents of the neighborhood.Â FikaÂ on the HillÂ has accomplished more than being just aÂ localÂ coffeeÂ house, they haveÂ cultivatedÂ aÂ community hang-out; an invitingÂ place to meet new and old friends â€“ all within walking distance ofÂ the residentsâ€™Â front porches.Â As a coffee lover stranded in the middle of suburbia with zero walkable coffee houses,Â their novel concept is heavenly. The inside of the coffee house is ideally arranged to encourage lingering conversations. You can sit inside to take in the sights and sounds of the coffee house, or you can sit in one of the front porch rocking chairs, with your dog, andÂ soak in the day. Regardless, your time here will be well spent. FikaÂ on the HillÂ not only offers an array of traditional coffees and teas, they also specialize in unique latte creations. 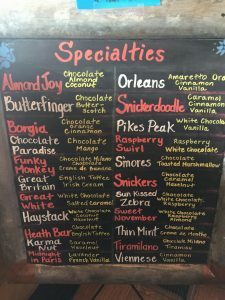 Sadly, I didnâ€™t see the selections until after my purchase, so I ended up with a Toffee Nut latte and my husband was ecstatic to have an offseason Pumpkin Spice latte; both were delicious! 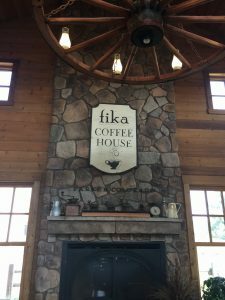 If you find yourself in Parker, Colorado, I encourage you to seek out a seat at theÂ FikaÂ on the HillÂ coffee house. You will not be disappointed and might even see me there! Tara’s 20 years (yikes) in Corporate America have primarily been spent within the fields of Risk, Audit, and Compliance. Her current focus and professional passion is Business Continuity Management. She likes to say, â€œI love it when a plan comes together!â€ Over the years, Tara has owned a few hobby blogs, but always found herself blogging mostly about travel. 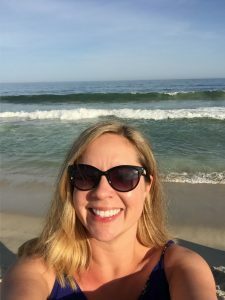 Nearly four months ago, she decided to pursue a new blog, Travel Plus Family, and it has been a blast. This blog is focused on inspiring families to explore the world together, a concept that she loves! 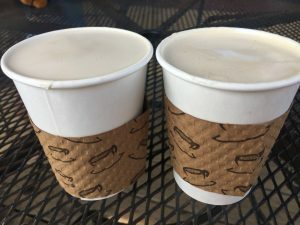 In those precious, few daily seconds each day when she is not working, blogging, or being a mom â€“ Tara enjoys taking long walks and splurging on great coffee, food, or wine. I bet it is very fun traveling and trying out all kinds of coffee. Thanks for share all your experience and sharing your stories. You talked about pumpkin spice coffee. I’m looking for a pumpkin spice coffee that is good. Any suggestions?